With the Tormek EzyLock, which is both a nut and a washer, you need no tools for mounting and dismounting the stone. The special pitch on the left hand thread causes the rotation of the wheel to tighten the nut to the correct torque. 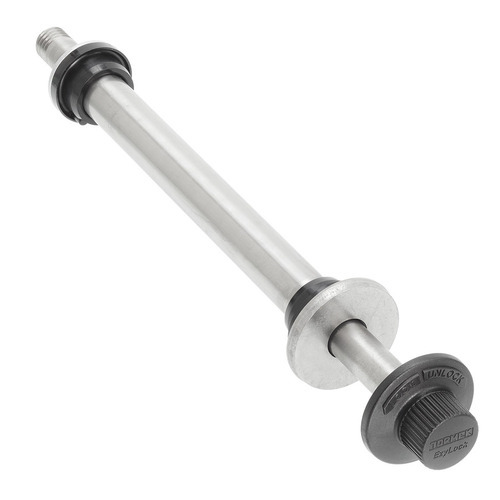 Stainless steel main shaft with Ezylock nut in composite. The EzyLock ensures that the grindstone is held securely with no danger of unwinding. Unique design requires no tools to mount or loosen the grindstone. With the Tormek EzyLock, which is both a nut and a washer, you need no tools for mounting and dismounting the stone. The special pitch on the left hand thread causes the rotation of the wheel to tighten the nut to the right torque. When mounting the grindstone, turn by hand the Ezylock nut anticlockwise into position. 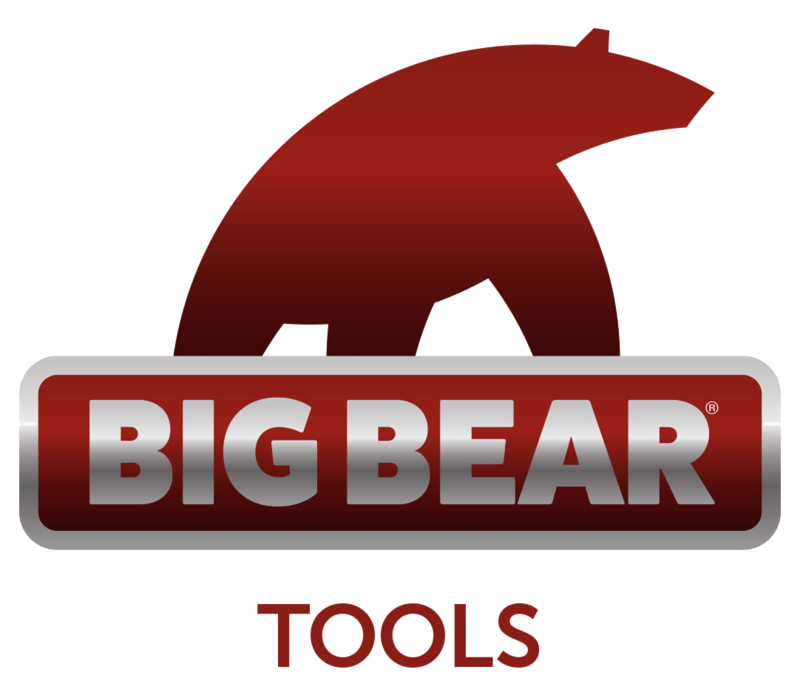 It will automatically tighten to the right torque during the first sharpening. If you need to change stone, turn the stone clockwise while fixating the leather honing wheel with the other hand and the EzyLock will easily loosen. 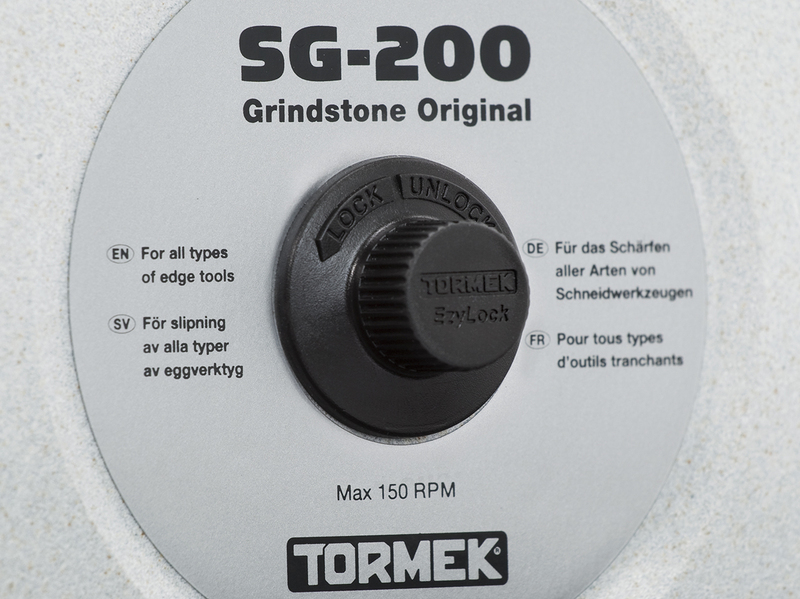 This construction makes it easy to work with different grindstones and you can change to the Japanese Waterstone SJ-200 for an extra fine finish. Fits Tormek T-4, Tormek T-3 and older models with 200 mm (8") stone diameter.